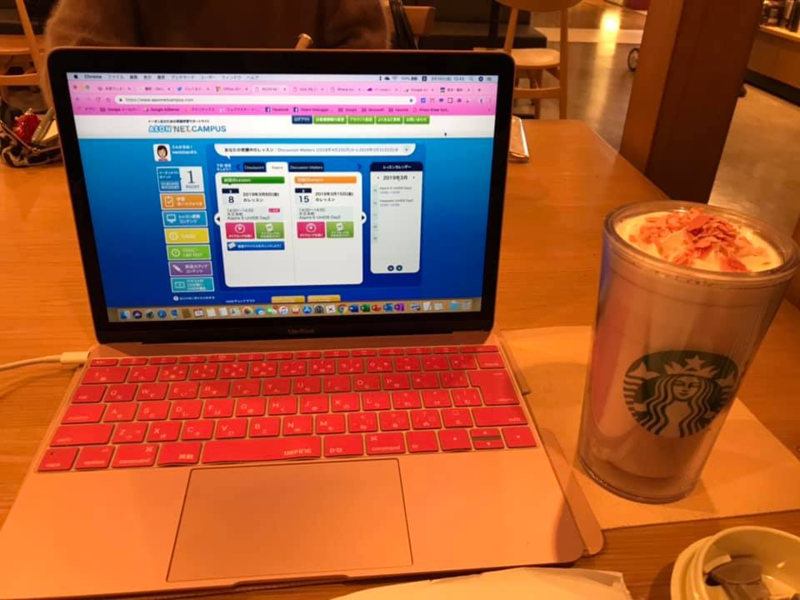 I often go to the Starbucks, expecially before the English class at 2 pm. Well, I cannot prepare for the class at home. I do that at very last minutes. 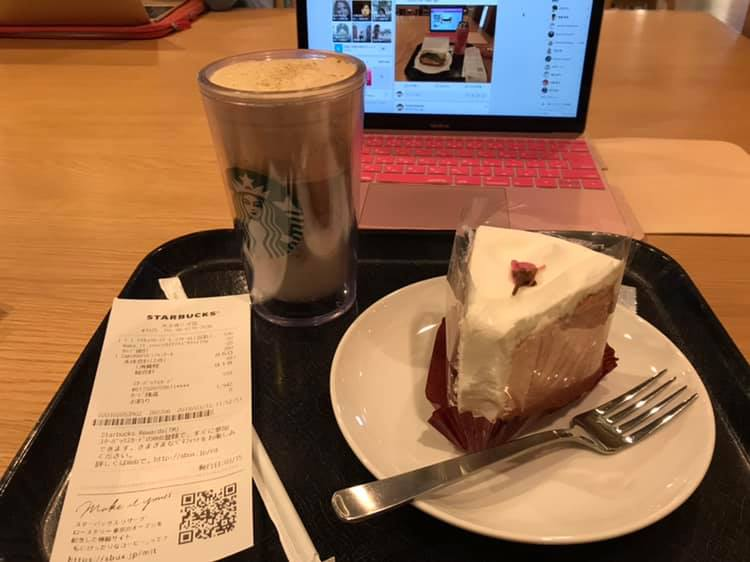 I really love this SAKURA chiffon cake, so I ordered it with Tokyo Roast Moused Foam Latte - taken at 11:53. Starbucks Reserve® Roosterie A double-shot latte with a mousse foam poured from Tokyo roasts roasted in Tokyo. Starbucks Reserve® Roosterly Developed in Japan, inspired by the espresso beverage. But I was not finished yet so I went to the second. SAKURAFUL Milk Latte. Taken at 12:43. This year's cherry latte will make you feel the early spring arrival. Combines the strawberry which is compatible with cherry blossoms, and finished it with a gentle and gentle taste. It looks like the flower petals of a cherry blossom are dancing, and it looks like a cherry blossom in full bloom. As I have been using electricity and a seat for more than an hour, I think I should oder something else again. I pay by Mobile Starbucks card, and saving Starbucks Reward stars, 4 stars to go! You can collect 1 star per payment (excluding tax) on your registered Starbucks card. A Reward button will be displayed for every 150 Gold Stars. 4 stars means 200 yen?